Dubai, UAE – A new heavy-weight champion of the road was crowned in August when the GL 63 AMG made its world premiere in Moscow. 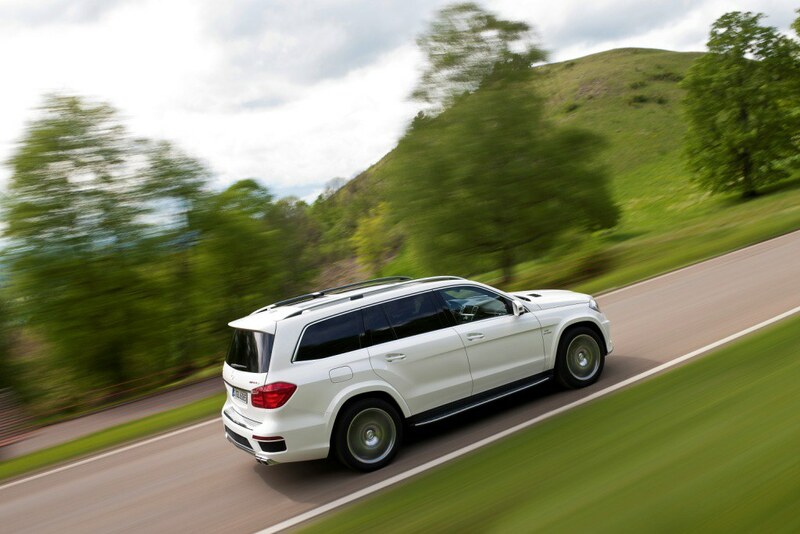 Emerging from the Mercedes-Benz Affalterbach performance division as the globe’s most powerful SUV, the GL 63 AMG blasts from 0 to 100 km/h in just 4.9 seconds, hitting a top speed of 250 km/h (electronically limited). And in true Mercedes-AMG fashion, world leading performance is realized whilst combining compelling technologies with pure ride comfort, and striking, unmistakable design with an extensive range of standard equipment. Floating like a supersonic butterfly and stinging like a sledgehammer, the heavy hitter’s effortless superiority comes courtesy of the AMG 5.5-litre V8 biturbo engine, harnessing the power of 557 stampeding stallions with a maximum torque of 760 Nm. The AMG RIDE CONTROL sports suspension with ACTIVE CURVE SYSTEM roll stabilization provides high-level driving dynamics and comfort synonymous with the three pointed star. “With the new GL 63 AMG, our all-wheel drive lineup is now complete. In addition to the ML 63 AMG all-rounder and the recently unveiled, iconic G 63 AMG and G 65 AMG models, the GL 63 AMG places particular emphasis on dynamism and style. Combining the first-rate comfort of the S-Class with the performance of an AMG sports saloon, the GL 63 AMG is unique in its segment,” says Frank Bernthaler, Director, Sales and Marketing, Mercedes-Benz Cars, Middle East & Levant. For AMG, the Mercedes-Benz performance brand, the Middle East market is very important. With its growth potential, it is a major element in the ambitious future strategy entitled “AMG Performance 50″, leading up to the 50th anniversary of Mercedes-AMG GmbH. The perfect base for characteristic AMG performance and a superior driving experience comes in the form of the AMG 5.5-litre V8 biturbo engine. A look at the technical data provides some powerful arguments. Peak output of 557 hp and maximum torque of 760 Nm results in first-class performance while NEDC fuel consumption comes in at 12.3 litres per 100 kilometers. The AMG M 157 eight-cylinder engine features an innovative, high-tech power package including spray-guided direct petrol injection, piezo injectors, biturbo charging, air/water inter-cooling, all-aluminum crankcase, a four-valve-per-cylinder design with variable camshaft adjustment, plus alternator management and the ECO start/stop system. Power is transmitted to all four permanently driven wheels by the AMG SPEEDSHIFT PLUS 7G-TRONIC. Featuring three modes and an automatic double-clutching function for down-shifting, this seven-speed automatic transmission offers a fascinatingly broad scope of variability. In “Controlled Efficiency” (C) mode the ECO start/stop function is active, shutting down the eight-cylinder engine as soon as the vehicle comes to a standstill. “C” also stands for a gentle accelerator and transmission characteristic with early gear changes; start-up generally takes place in second gear here. In the Sport (S) and Manual (M) driving programmes the ECO start/stop function is inactive and the engine-transmission combination displays far greater agility with more spontaneous responses. A brief and exactly defined retardation of ignition and injection during up-shifting at full load additionally provides for shorter shift times and an acoustic experience. Mercedes-AMG deploys a specially designed transfer case for the 4MATIC permanent all-wheel drive, which distributes the drive power to the front and rear axle at a ratio of 40:60 in the interests of dynamic handling. As if that were not enough, the AMG RIDE CONTROL sports suspension with AIRMATIC package – consisting of air suspension, special damper struts, automatic level control and Adaptive Damping System (ADS) – is combined with the ACTIVE CURVE SYSTEM for active roll stabilization. This system, which comes as standard and is specific to AMG, employs active anti-roll bars on the front and rear axles to reduce the body’s roll angle during cornering. Apart from enhanced agility and driving pleasure, the ACTIVE CURVE SYSTEM has the additional effect of increasing handling stability and therefore safety, particularly at higher speeds. Roll stabilisation, damping and suspension adapt automatically to the prevailing driving situation, offering both optimum ride comfort and maximum stability. The GL 63 AMG driver is able to choose at the push of a button between the three suspension modes “Comfort”, “Sport” and “Sport plus”. The fully load-bearing air suspension system is speed-sensitive, lowering the body at higher speeds in order to minimize drag while increasing driving stability. The AMG-specific elasto kinematics at the front axle and the more robustly designed rear axle stabilizer bar are responsible for improved steering precision. The enhanced drive train delivers the best possible power transmission and hallmark Mercedes reliability. The 4ETS electronic traction control system which features as standard provides for optimized grip when friction coefficients vary. Electromechanical AMG speed-sensitive sports steering features variable power assistance which responds in accordance with the chosen suspension mode. It also helps to save fuel, as the steering assist function only requires energy when the driver actually moves the steering wheel. The AMG high-performance braking system provides for the shortest possible braking distances and high fade resistance with ventilated and perforated brake discs all-round in size 390 x 36 millimeters (front) and 345 x 26 millimeters (rear). 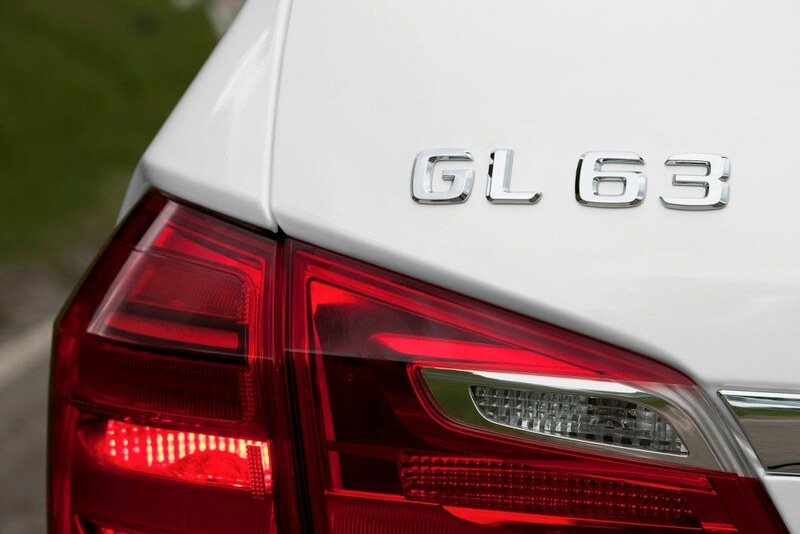 Striking, masculine, unmistakeable: these attributes describe the design of the GL 63 AMG. Mercedes-AMG has enhanced the main stylistic features of the new GL – powerful dynamism and sporty elegance – using specific elements that emphasise the top V8 model’s exceptional performance. The typically upright GL radiator grille with its central Mercedes star is adorned with high-gloss slats painted in black. AMG styling elements include the front apron with its large openings that ensure an effective air flow for the cooling modules. The bottom air intake takes the form of a typical AMG stylized “A” with a gap under the fine black fin through which air can flow optimally to the cooling modules – the perfect blend of design and high-tech. The trim insert in matt silver chrome installed under it creates a sense of width and coordinates optimally with the borders of the LED daytime running lamps in the side air openings. The AMG front apron elegantly merges into the exclusive wheel-arch flaring. In order to accommodate the large 53.3 cm (21-inch) AMG light-alloy wheels with the wide-base 295 tyres, the flaring widens the vehicle by 22 millimetres on each side. From the side, observers will notice the V8 BITURBO logos on the wings and illuminated running boards with an aluminum finish. The rear wheel-arch flaring blends into the AMG rear apron which is again adorned with a striking trim insert in matt silver chrome and the suggestion of black air openings. Creating both a visual and acoustic highlight are the two chrome-plated, exposed twin tailpipes of the AMG sports exhaust system. Great attention to detail, excellent ergonomics and a generous amount of space available – exclusivity and dynamism also dominate in the interior of the GL 63 AMG. All seven seats in the high-performance SUV are covered in high-quality leather, as is the centre armrest. Electrically adjustable AMG sports seats feature double top stitching in a contrasting colour and AMG badges on the front seat backrests and outer rear seat backrests. The dashboard, armrests and door panelling come in ARTICO man-made leather with double top stitching. As part of the optional designo Exclusive package, these components can be covered in high-quality designo leather. The AMG Performance 4-spoke steering wheel with perforated leather in the grip area, flattened bottom section on the steering wheel rim and aluminum shift paddles ensures optimal vehicle control. Four round instruments on the AMG instrument cluster provide the driver with information. The central colour TFT monitor incorporates the AMG welcome logo and AMG main menu. 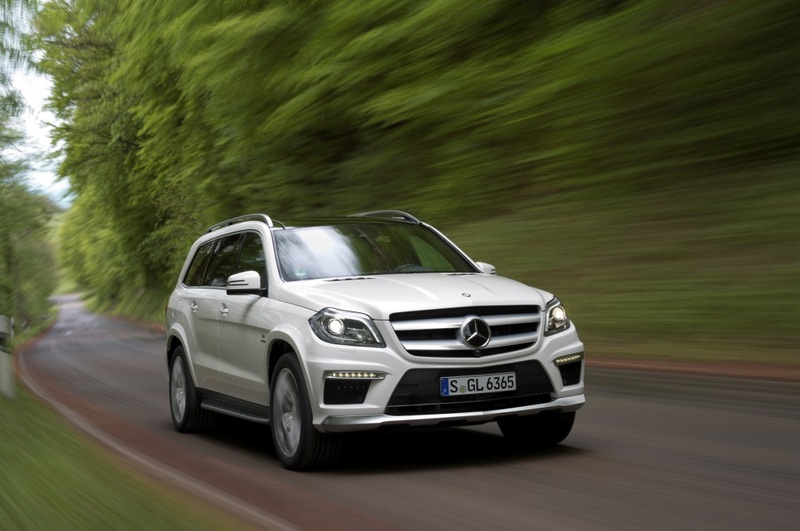 The Middle East market launch of the new Mercedes-Benz GL 63 AMG is scheduled for Q1 2013.